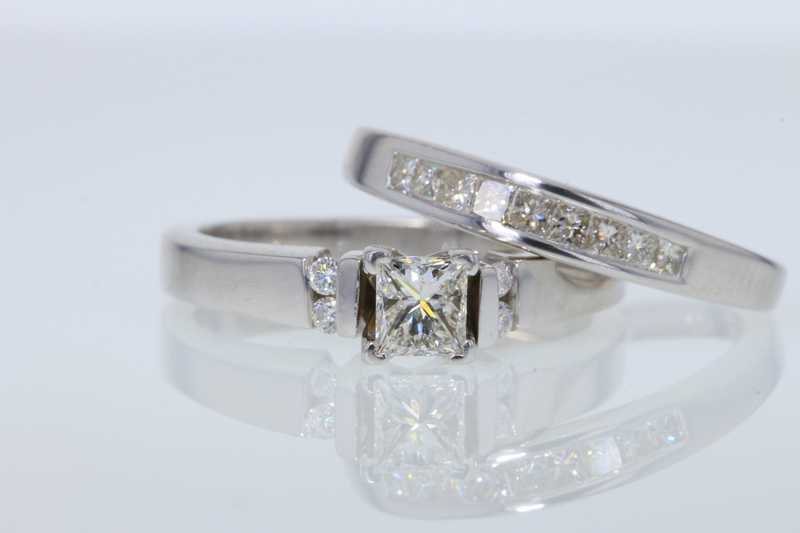 Beautiful center diamond is approximately 0.40CT Princess diamond with white H color and super clean VS2 clarity. 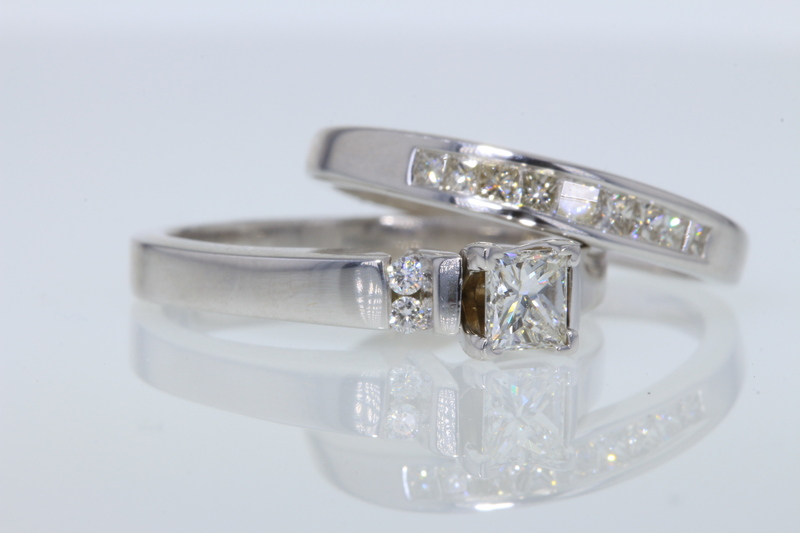 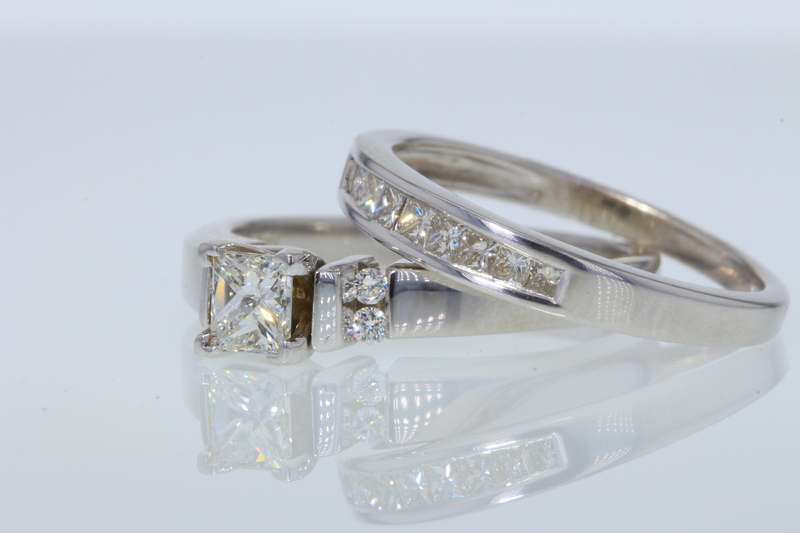 Set in 14kt white gold setting that has another 0.10CT of 4 high quality full cut round brilliant diamonds. 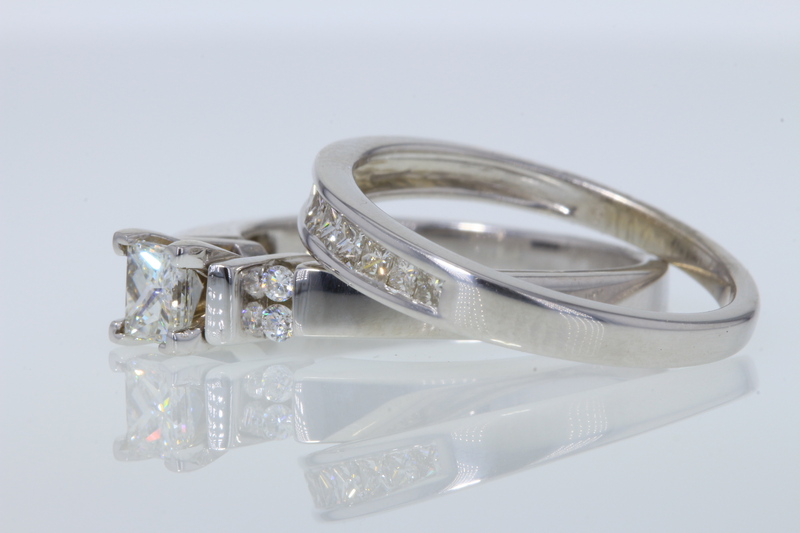 It also comes with a 14kt white gold 0.25CT princess channel set diamond band.